In support of the “green economy”, the concept of the compact city is presented here as a key part of achieving sustainable settlements and green growth. Urban compaction is not a magic bullet. Creating compact, integrated and liveable cities that support the “green economy” is one part of the solution to achieving sustainable settlements. Re-planning and re-developing already dense informal and dilapidated areas can also bring real economic, social and environmental benefits, especially in developing countries. 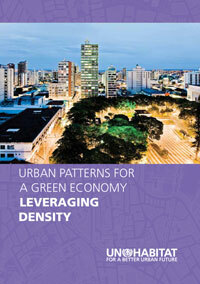 To foster sustainable urban settlements governments face the challenge of directing urban growth patterns in a manner that will work with broader strategies aimed at greening the economy and underpinning sustainable development.